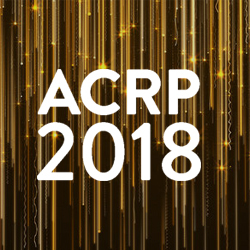 The Association of Clinical Research Professionals (ACRP) and The Avoca Group will jointly recognize leading Sponsors and CROs at the ACRP/Avoca Awards & Recognition Ceremony on Friday, April 27, during the ACRP 2018 annual meeting. Finalists for the ACRP-Avoca Quality Awards were chosen by investigational sites through a research study conducted by The Avoca Group over an eight-week period in early 2018. In this research, investigational sites were asked to rate Sponsor and CRO attributes (including responsiveness to questions, knowledge of the study protocol, and frequency of CRA turnover, among others) and study execution (including setting of realistic patient recruitment goals, design of CRF, and ease of EDC systems, etc.). Finalists will be notified of their nominations and invited to attend the ACRP/Avoca Awards & Recognition Ceremony where the winners will be announced. Winners will receive a plaque to commemorate their award. The ACRP/Avoca Awards & Recognition Ceremony will conclude the inaugural ACRP-Avoca Quality Consortium (AQC) Quality Congress in conjunction with ACRP 2018. Scheduled for Friday, April 27, the 2018 Quality Congress is a full-day workshop and networking program focused on improving clinical trial quality in a changing clinical trial landscape. The 2018 Quality Congress will kick off the leadership track at ACRP 2018, the premier education and networking event for clinical research professionals. Bringing together senior management teams from Sponsors, CROs, and sites, the 2018 Quality Congress will explore and develop practical strategies for inspection preparedness, quality oversight, ICH E6 (R2), and holistic quality management systems, among other topics. 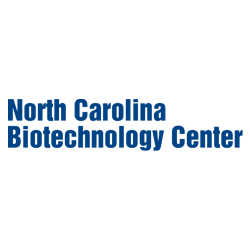 “We are excited to bring together Sponsor, CRO, and site leadership to collaboratively develop tools to streamline clinical trial operations and improve quality in delivery,” Kremidas says.